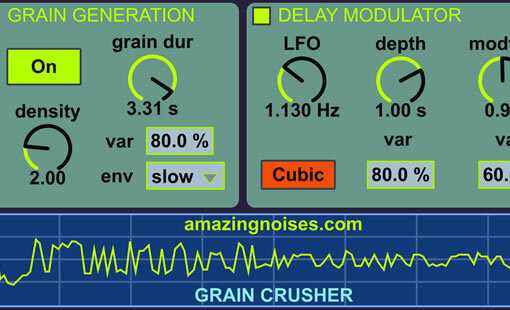 Grain Crusher is a Max for Live device which performs “Extreme Grain Manipulation”. 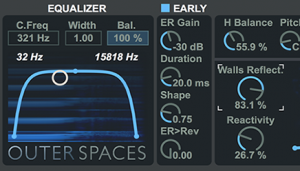 There is a new version included in the Granular Lab bundle. 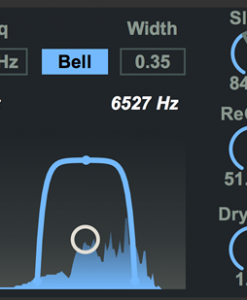 There is a new version of Grain Crusher included in the Granular Lab bundle. 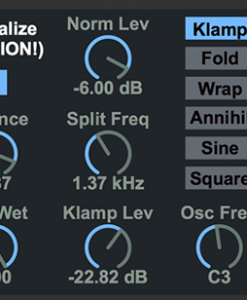 Grain Crusher is a Max for Live device which performs “Extreme Grain Manipulation”. 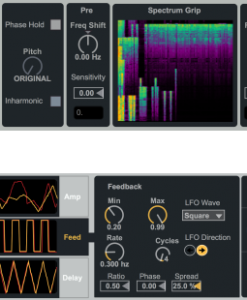 It is essentially a noise and glitch FSU audio effect: you can get a lot of strange and unique sounds from its 3 processing modules: the Delay Modulator, the Frequency Mangler and the External Loop. What kind of plug-in is it? It is a Max for Live device. 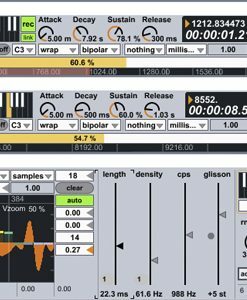 It runs in Ableton Live 8 or 9 with Max for Live (both Max 5 and 6 are OK). Please note that you need both Ableton Live and Max for Live to use this device. Yes, it is compatible with both Mac and Windows (provided you have Ableton Live 8/9 and Max for Live installed on your computer). Simply drag the .amxd file on your live browser, into the “Audio Effects/Max Audio Effect” folder.